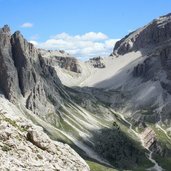 All the splendor of the World Heritage Site Dolomites is reflected in the mountain meadow trail “Tru di Prà” stretching around La Val. 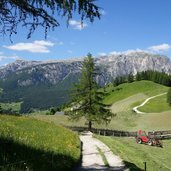 We experienced this flagship route in the first certified walking village of South Tyrol, and came to discover a place that stands for adventure for all the family. 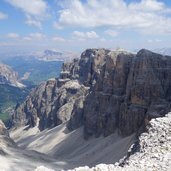 Come along with us to the reign of the pale mountains in the Fanes-Sennes-Braies nature park. 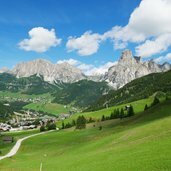 An imcomparable setting makes hiking in the Alta Badia a delight for body and soul - here the view on the famous Val Mezdì valley, Mt. 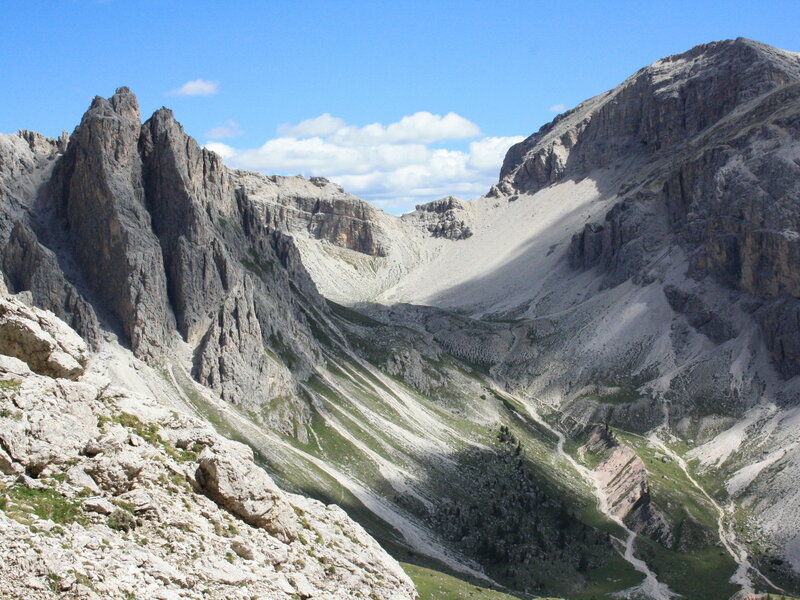 Sasso delle Dieci (3,026 m asl) and Mt. 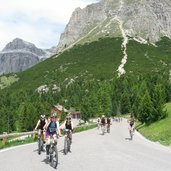 Piz da Lech Boè (2,910 m asl). 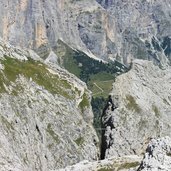 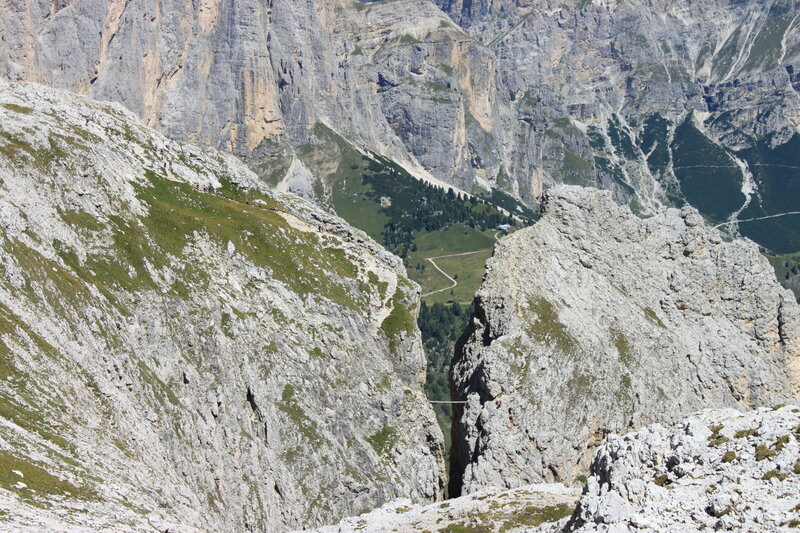 Not for the faint-hearted - the suspension bridge of the Brigata Tridentina al Pisciadù Route, known as the most beautiful and most frequented via ferrata of the Dolomites. 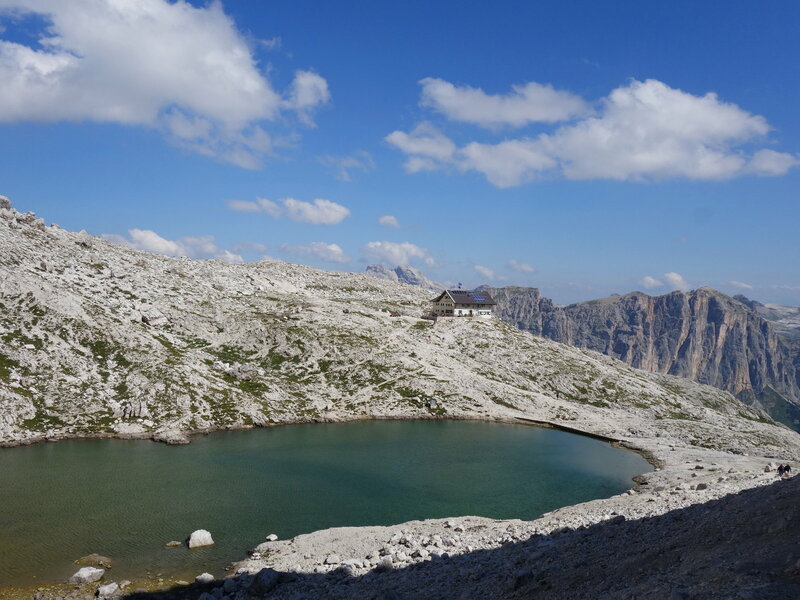 Enjoy the numerous lakes spread all over the territory in different altitudes, such as Lake Pisciadù with the eponymous mountain hut on its shores (2,585 m asl), accessible from the Passo Gardena mountain pass. 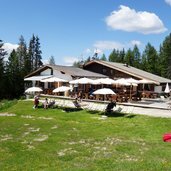 Also several other mountain huts invite to stop and to relax, such as the Ütia Nagler at 1,850 m asl which is located in the municipality of Badia. 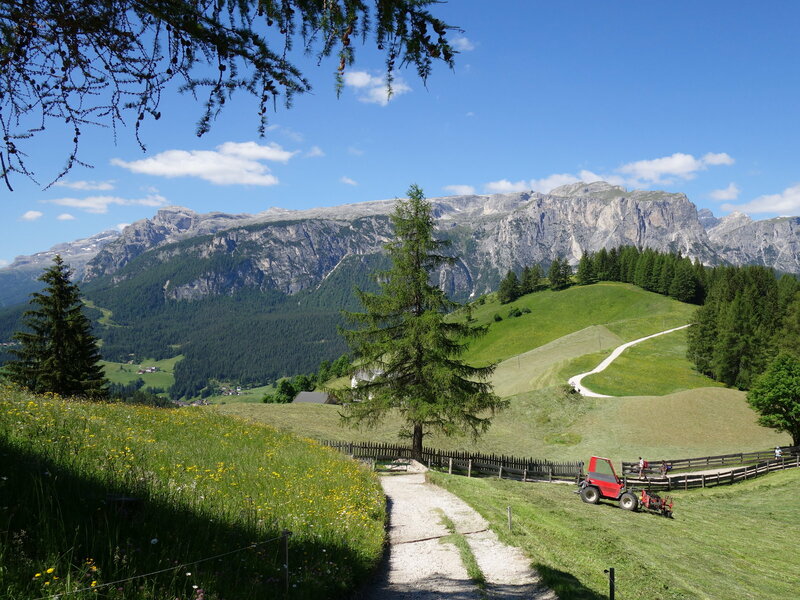 Spectacular panoramic view on the meadows of the hamlet Cialaruns, in the background the Gardenazza, or Gardenaccia Highland in the Puez-Odle Nature Park in the heart of the Dolomites. 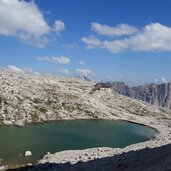 This nature park of 10,722 hectares, which takes its name from the Puez-Odle Group, comprises the municipalities of Badia and Corvara in the Alta Badia. 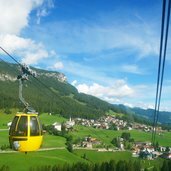 There are numerous lift facilities taking you into the Dolomites, such as the Vallon Chairlift in Corvara. 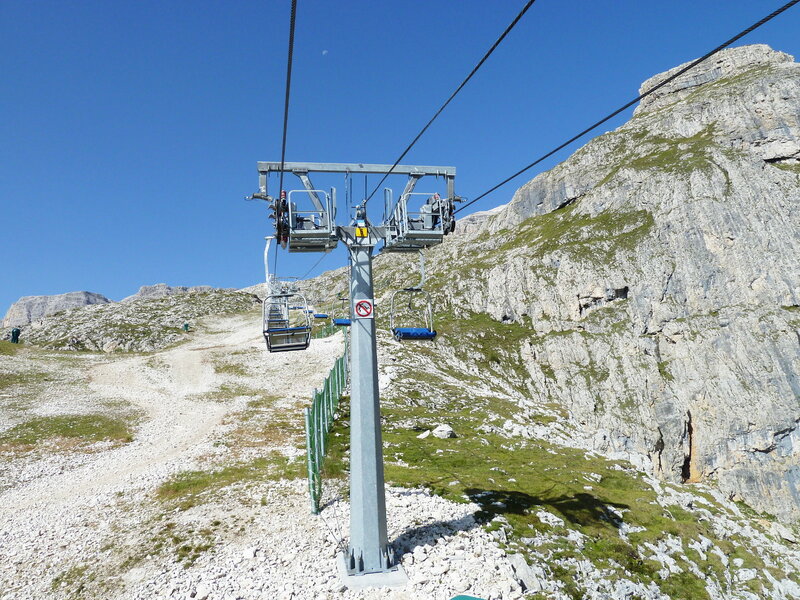 Usually the lifts open around mid-June for the summer season. 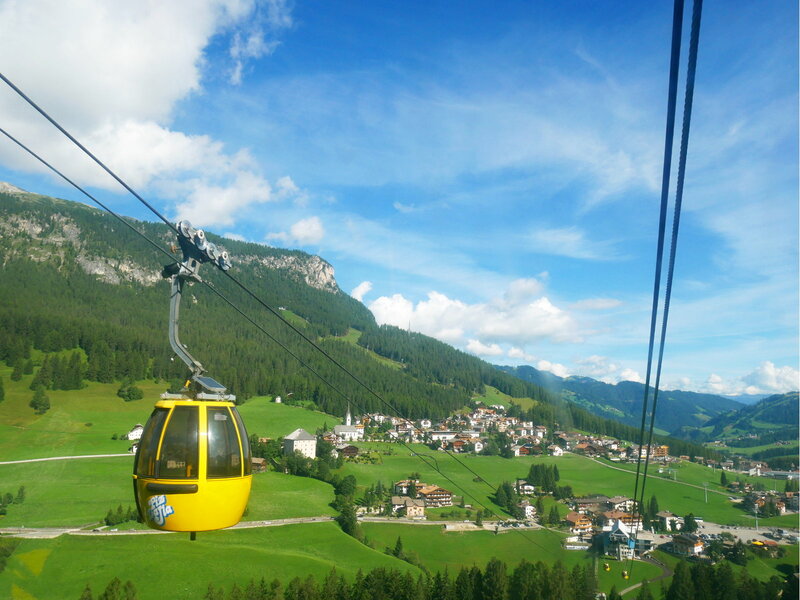 La Villa, seen from the Piz La Ila Funicular - the Alta Badia Summer Card enables the use of all gondola lifts and chairlifts in the Alta Badia in summer for the paid period. 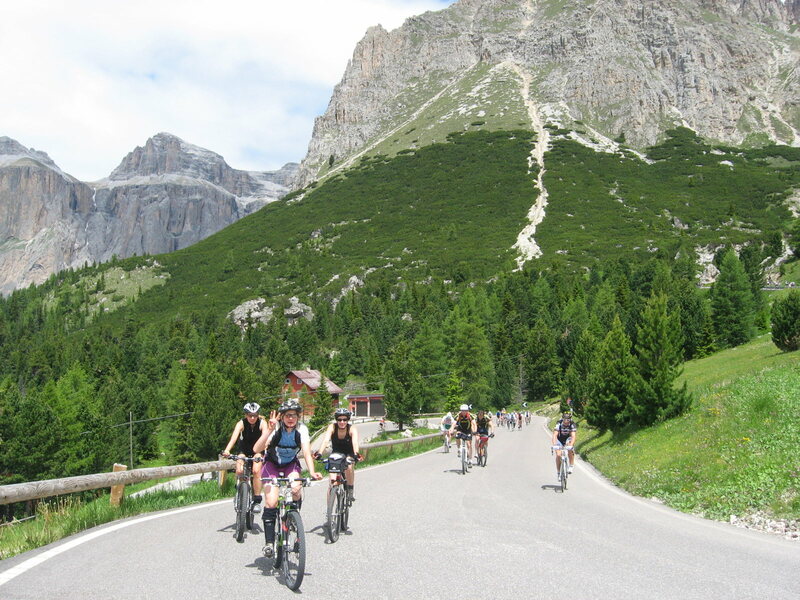 Pure adventure for athletic cyclers is not only the breathtaking mountain landscape of the Alta Badia, but also the Sellaronda Bike Day, taking place every year in July. 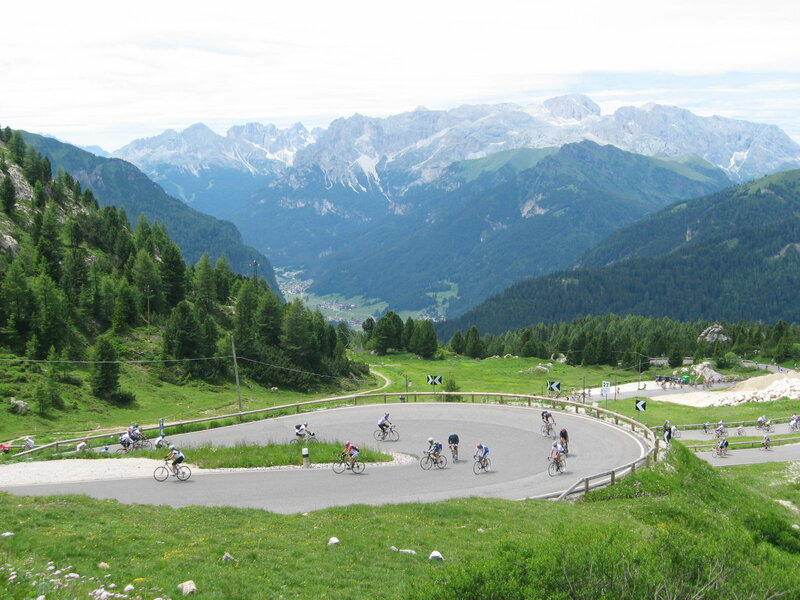 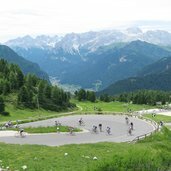 The famous Sella Ronda tour leading on the four Dolomite passes - Passo Gardena, Passo Pordoi, Passo Sella and Passo di Campolongo - takes cyclers round the majestic Sella alpenstock. 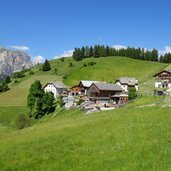 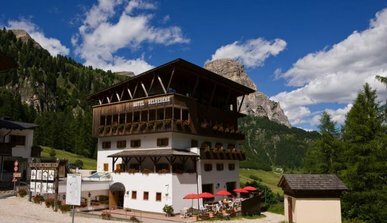 There are still a few original mountain farms, known as "Les Viles" in the Val Badia valley and the Alta Badia, such as in the hamlet of Cialaruns, belonging to the area of Badia. 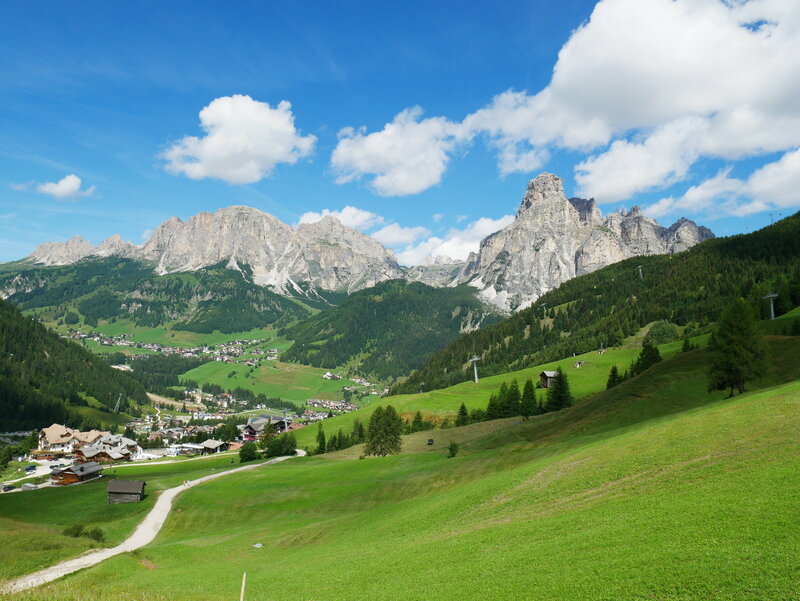 The Alta Badia has also a golf course, located only few chilometres from the centre of Corvara at 1,700 m asl. 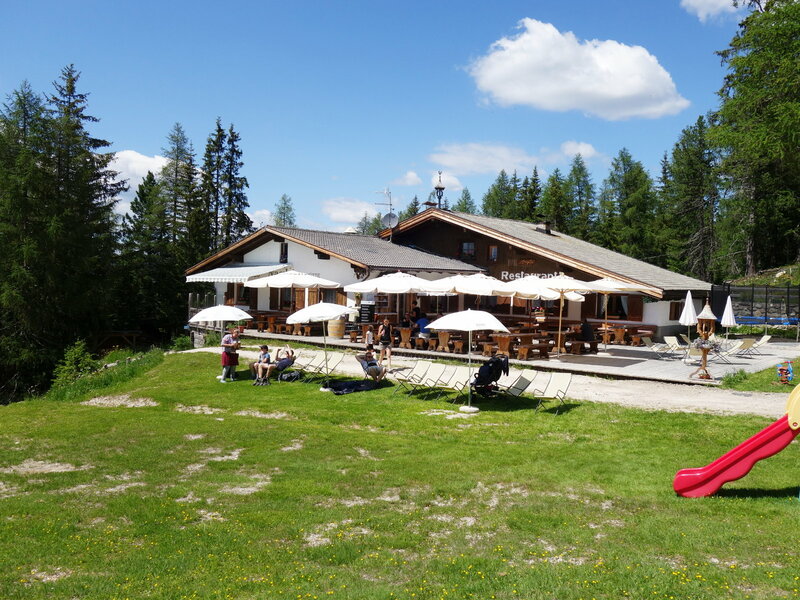 It offers not only a Driving Range, but also a Golf School. 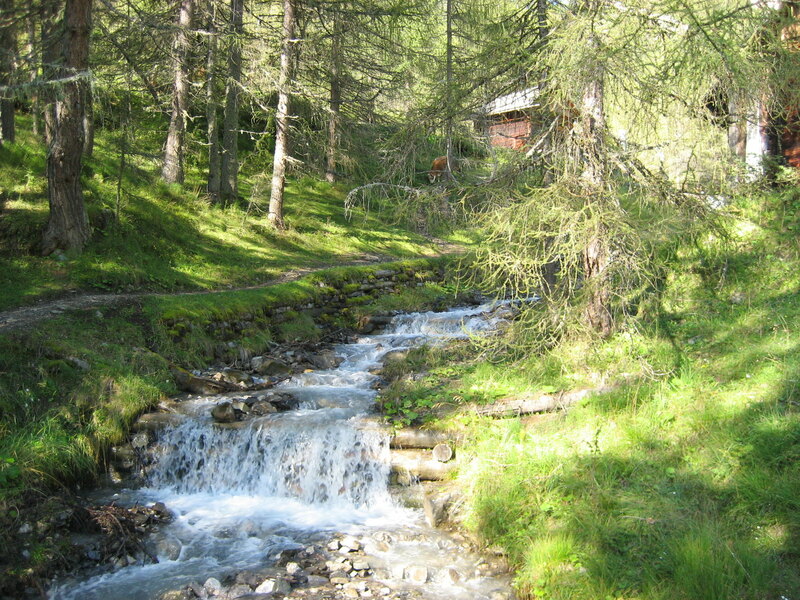 A popular hiking destination: the Mill Valley (Val di Morins) along the course of the Rio Seres near San Martino in Badia. 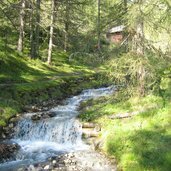 A theme path connects the eight mills of this valley, which have been carefully restored. 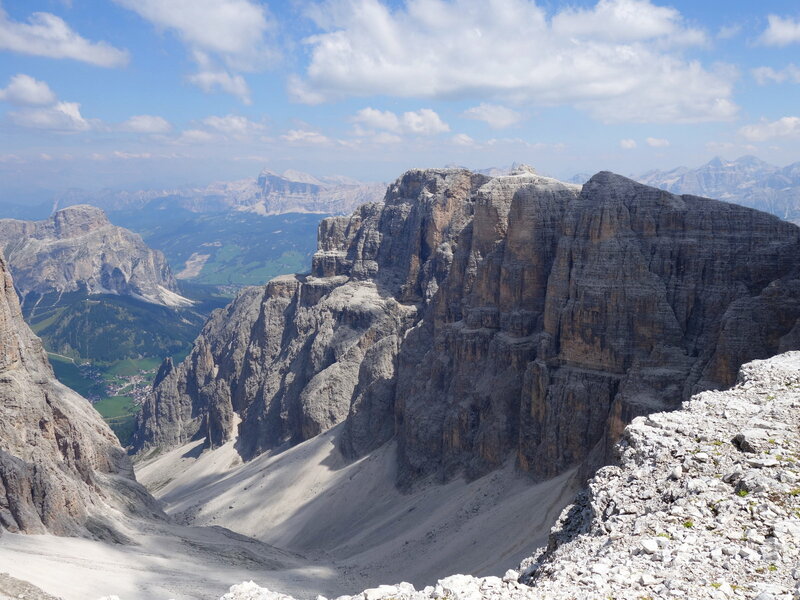 The Dolomites. 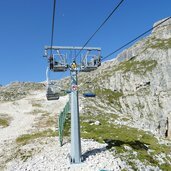 They have everything to offer, from mellow nature-park experiences to extreme challenges. 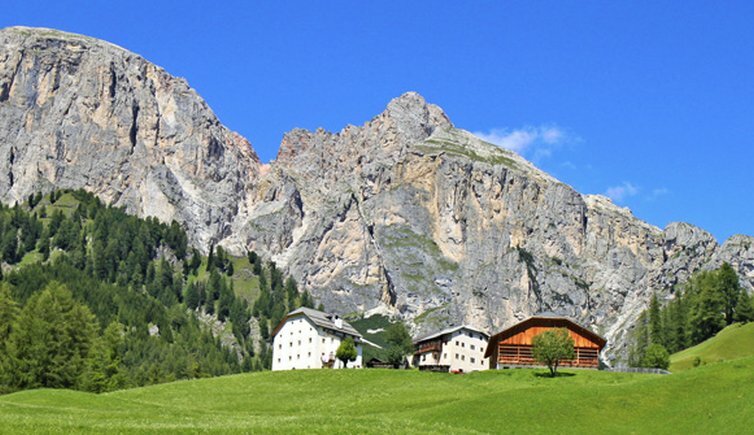 In summer, this hiking hotel is the perfect starting point for invigorating hikes and climbs. 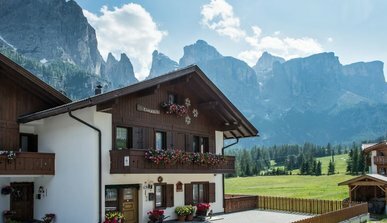 Active holidays at hotel Belvedere Modern lift facilities take you to the most beautiful mountains of the Dolomites, UNESCO World Heritage Site. 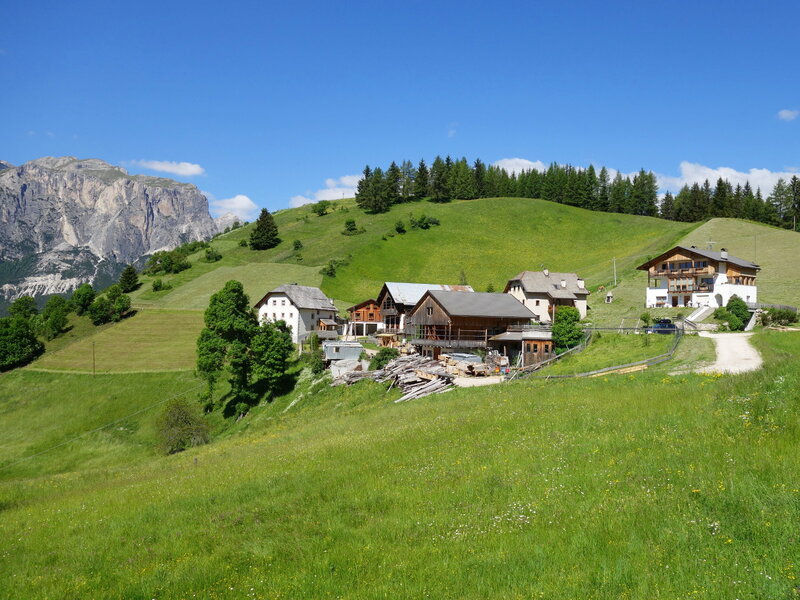 Ciasa Soleil, surrounded by the charming nature paradise, is the ideal place for all hikers - guided hikes included. 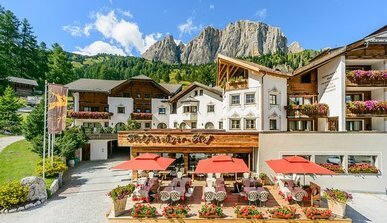 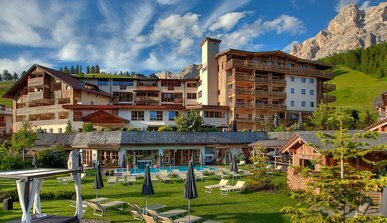 Experience pure relaxation and perfect tranquility surrounded by the unique natural landscape of Alta Badia, the Ladin valley in the heart of the Dolomites. 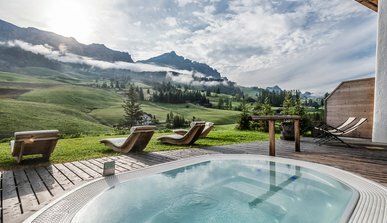 Leave behind trouble and worries of everyday life and grant yourself an unforgettable vacation in Colfosco, in the heart of the Dolomites.